y partner has co-authored a book, and I have been working on the covers. The book is about the workings of artist printmakers, and as covers for most arts books go, it is perhaps a fairly unusual solution for a book containing such striking pieces of art. Initially it was suggested that an image on the cover was required, but the the client wanted a ‘pure’ appearance. I was concerned that the book might look too much look like an academic title without, but the idea is that further titles will be produced, each sporting a vibrant colour, so as to form a readily identifiable series. It’s a great read; a book that I believe would be of interest to those with a passing interest in printmaking, through to those who are experienced practitioners. 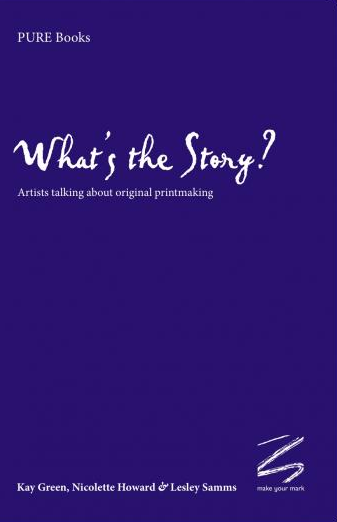 The book is formed of illustrated commentaries from artists, curators and gallery owners, each talking about their own experiences within the field of printmaking. Adana Print Workshop at St. Bride's, London.